Thailand is one of my true travel loves. It’s a country I never get tired of visiting and I’m always excited to return. That being said, I haven’t actually seen a lot of it. 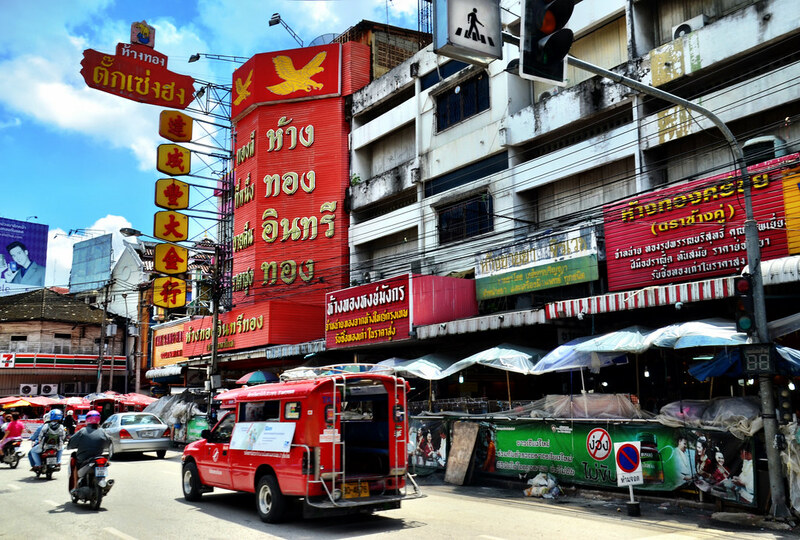 Mostly I spend time in Bangkok and nowhere else. On my most recent trip to the Land of 1,000 Smiles, I decided to finally visit a city I’ve long wanted to see, Chiang Mai. It still seems incredible to me that for so long I had somehow missed visiting Chiang Mai, the second largest city in the country and the unofficial capital of Northern Thailand. While my trip may have been long overdue, I more than made up for lost time and over the course of a few days experienced the best that Chiang Mai has to offer. There are a lot of options when it comes time to plan your first trip to Chiang Mai, so I want to share those experiences that meant the most to me as I explored this colorful Thai city. I was honestly worried that the city would be inundated with 20-something, longyi-wearing backpackers. I’ve been to places like that before and while I don’t have anything against backpackers, it’s not me, it’s not my style and I was frankly looking for something different on my trip. I needn’t have worried though because, while there are indeed plenty of backpackers and budget travelers floating through Chiang Mai, the visitor base is actually a lot more varied than I had anticipated but, ultimately, I shouldn’t have been shocked at that. The city is home to some of the best hotels and resorts in the world, and amongst those unshaven backpackers there were folks like me, there to explore and learn, but to also enjoy some much needed R&R. My oasis in the sea of chaos was the world famous 137 Pillars House, a true haven of peace and tranquility if there ever was one. Located in a quiet neighborhood, its prime location means that the city is easily reached, and yet the property feels like it’s a million miles away. Add in outstanding comfort and service, and it’s the luxury break I needed. Chiang Mai is home to one of the best night markets in the world but, throughout the day, you can easily find amazing food stalls almost anywhere you go. I find it reprehensible to visit Thailand and not enjoy at least some of its incredible street food and Chiang Mai is one of the best places in the country to enjoy this unique cultural icon. If you’re like me though, you sometimes want to sit in a chair that isn’t plastic when you eat and in that case, Chiang Mai also has plenty of options. We came to depend on our butler at the 137 Pillars for many things, but especially advice on where to enjoy delicious dinners. The best restaurant we enjoyed outside of the 137 Pillars compound was the Indian/Thai fusion restaurant, The Whole Earth. This gorgeous teak-house restaurant is in the middle of the town but, thanks to a sprawling garden, the atmosphere is decidedly relaxed and serene. From start to finish, the food and service were all beyond reproach and I know it’ll be my first stop the next time I’m in town. I also have to recommend the restaurant at the 137 Pillars House itself. Set in a 19th century teak house for which the resort is so very well known, the star quality cuisine matches the setting to create an evening I guarantee you’ll never forget. This is where it gets tricky. There are a lot of activities in and around Chiang Mai, which, after all, is why so many travelers use it as a home base. I only had a couple of days there so I had to be judicious, but I’m thrilled with the choices I made and I know that together they created the ideal first introduction to Chiang Mai. When I’m tight on time, I usually depend on great local guides to help me find my way. They’re especially useful when I don’t have my own means of transportation, which was the case in Chiang Mai. For a very reasonable fee, I had a private guide and driver for several hours, benefiting from the guide’s expertise as she shared with me the highlights of her city. We spent a lot of time exploring the various temples around the city, walking through the markets and sampling some delicious bites. The highlight though was a visit to the city’s most famous temple, Doi Suthep. I’ve been to many different religious buildings throughout my life, far too many to count. 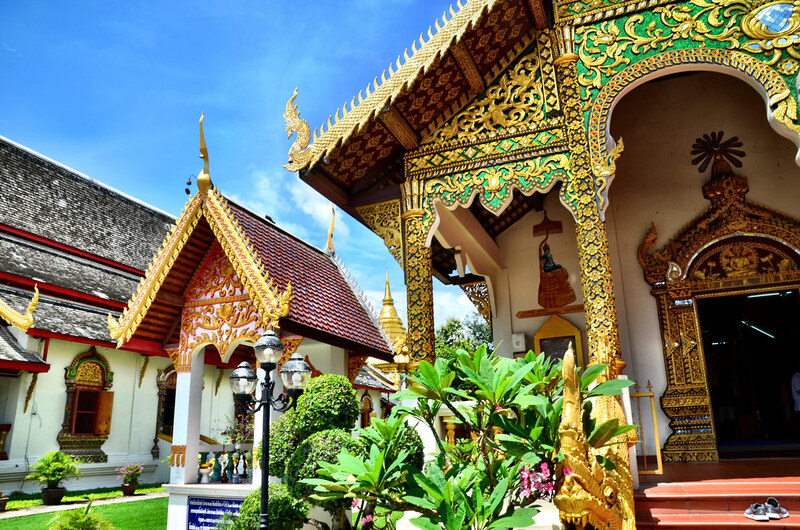 In countries like Thailand, that means spending time visiting the many Buddhist temples but in Chiang Mai, there’s one that stands out among the rest. What is usually called the #1 “must-do” experience in Chiang Mai, I quickly realized that Doi Suthep Temple certainly deserves that level of praise and more. One of Thailand’s most holy sites, the first temple on top of the mountain overlooking Chiang Mai was built in the 1300s, although over the years many more have been added to it. In the 1930s a road was thankfully built so that anyone could access the holy mountain top and today it’s a glittery testament to the importance of Buddhism in Thailand’s daily life. It’s also just a gorgeous place to visit and although the skies were a little cloudy that day, they parted as I arrived to the temple providing me that sunny morning I had hoped for. In planning my trip I didn’t feel appreciate how different this temple was from all the rest, and I’m so happy that I had extra time there to enjoy the entire sight and temples. One important reason why I decided to visit Chiang Mai in the first place was to spend the day at a very special facility about an hour or so outside of town. The Elephant Nature Park was created in order to rescue elephants horribly mistreated in the tourism and logging industries. It’s a place where they can be slowly rehabilitated and given the life that all elephants deserve. Sadly, many tourists don’t understand that riding elephants, watching them in circuses, painting or so on involves significant abuse to the elephant. When talking about responsible tourism, it’s important to know that if you see an animal doing something that isn’t natural for them, then it took severe treatment to get them to that point. In the case of elephants, they undergo a horrible ritual known as the Crush, which destroys their resolve and will to live through slow torture. Add to that the pain endured during the activities themselves, and you hopefully begin to understand why elephant tourism is so incredibly harmful to these beautiful animals. At the ENP, these elephants are rescued and a team of professionals and volunteers start the long process of helping them enjoy life again. I visited as a day guest, one of many, there to learn more about the sanctuary as well as interact with the rescued elephants through feedings, bathings and more. It was the first activity I booked when planning my trip and it was everything I had hoped it would be. The first night in Chiang Mai, I followed the sage advice of my 137 Pillars butler and enjoyed a delicious Indian meal at the Whole Earth Restaurant. Afterwards, I meandered along the bustling streets, packed with vendors, tourists, aromas of food and the din of a thousand people trying to occupy the same place at the same time. Chiang Mai is famous for its massive night market, so I did some window shopping, enjoyed a little ice cream and just took in as much of the scene as I could. More than anything else, it’s those simple moments that endear Thailand to me. There’s just nothing else quite like it in the world, the seemingly chaotic scene belying an order one doesn’t expect. Throughout my several days in Chiang Mai, whether it was at the night market, a temple or at my hotel, I realized why this city attracts people from all walks of life and every corner of the globe. It’s a fun place to be, it’s a type of travel entertainment that isn’t found on a stage or in a theater, the city itself is theater and stage. Visiting Chiang Mai I played my role well I think, experiencing as much of this vibrant city as I could with a firm commitment to return again soon.